If you have low back pain, you are not alone. 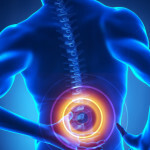 At any given time, about 25% of people in the United States report having low back pain within the past 3 months. For some people, back pain can return or hang on, leading to a decrease in quality of life or even to disability.